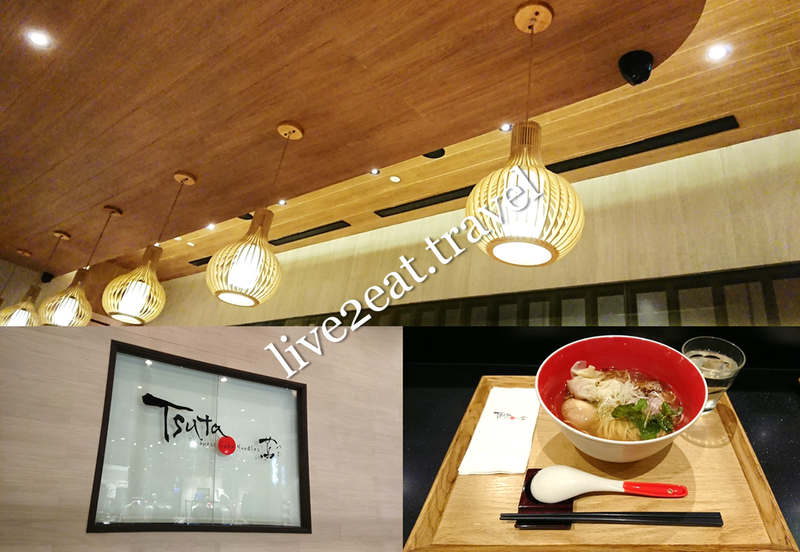 It has been almost a year since the world's only Michelin-starred ramen restaurant, opened by chef-owner Yuki Onishi in 2012, arrived in Singapore. There is always a queue whenever I pass by Tsuta at Pacific Plaza and the only time when I do not see anyone waiting, it is closed. So imagine my delight to spy empty seats in the Japanese restaurant, located on the 1st floor, when I walked past on a weekday. Waited for my turn (there were a few people in front of me) and ordered a Ajitama Shio Soba, adding a Yuzu Wonton, from a big touchscreen. Chose original Japanese taste over less salt for the seafood and chicken broth mixed with Okinawa sea salt and Mongolian rock salt, and served with green olives pureed in truffle oil. The long straight thin noodles were cooked just right in a delicately flavourful broth that was a tad oily, with a subtle aroma and taste of truffle that did not overwhelm. Char Siu was tender and nicely seasoned while flavoured egg had runny yolk the way I liked it. I loved the wonton skin and yuzu so the filling of minced meat was not cloying.